I see Brian Tamaki of Destiny Church is having a tantrum again about New Zealand being a Christian nation. He objected to Jacinda’s call to Muslim prayer before a two-minute silence to remember the victims of the massacre of worshipping Muslims in Christchurch. He called it an abuse of her Prime Ministerial powers. Twelve years ago, he was ranting on about our being a Christian nation leading his followers in a march up the steps of Parliament demanding that Christianity be declared our national religion. Having only recently escaped a growing theocracy in the US I was moved to perform my first act of voicing my liberal religion in the public square. I wrote an op-ed piece condemning his position that was published in the New Zealand Herald. It is still online https://www.nzherald.co.nz/nz/news/article.cfm?c_id=1&objectid=10424908. At that time, I received some support but considerable vitriol with a sprinkling of death threats. I knew I wasn’t in the US anymore when someone in Dunedin called me at home to give me an earful. And this was well before I was notorious due to my billboards stirring the pot around the world, or my seeking an end to Bible in Schools enraged the religious right, or my supporting marriage equality angered homophobes, or advocating for a Living Wage riled neo-capitalists, or taking my bishop to the Human Rights Review Tribunal for discrimination against a gay candidate for ordination angered my co-religionists, or supporting Indian students being unfairly deported upset white nationalists. My first venture would not be the last time Tamaki and I would cross swords. Five years ago, on Māori TV’s Media Take he and I would again focus on the issue. Sadly, it was a short piece where positions were not adequately explored. So, now I have another opportunity to respond to what I consider his attention-getting nonsense. Fortunately, I don’t have to say much Brian, except maybe get a life. Your tired attempt to discount the faith or non-faith of others that don’t agree with yours in an effort to divide us as a country has been answered by hundreds of thousands if not millions of New Zealanders standing in vigil at mosques. His views have been buried in flowers of both hope and grief. Sometimes doing public theology only requires two minutes of silence. What a difference twelve years makes. What a week it has been. I’ve never seen anything like it. In the discussion following my reflection last week, it was noted that we as a congregation needed to push for gun control. After the service, the Management Committee and members of the Peace and Social Justice Committee agreed. They began working on a letter to the government to ban automatic and semi-automatic weapons. Several drafts were proposed and before they could be finalised the Prime Minister had announced that legislation had been drafted that would ban such instruments of destruction. Furthermore, the legislation had the support of opposition parties. We are now organising to send submissions of support in the three weeks before a final vote. It is clear that we have been for ever changed by last Friday when far-right columnist Matthew Hooten and conservative National MP Judith “The Crusher” Collins have nothing but praise for the leadership of our Prime Minister. Now we just have to figure out who we are now and where we want to go. As Unitarians who have a long history of speaking out in the public square for freedom, social justice and religious tolerance, we have to ask how the landscape has changed. For one thing the focus has been on radical Islam being the threat to our safety and security. Politicians and pundits have tried to terrify small children with the imminent threat of Sharia Law replacing our democratic institutions. The hijab has been described as patriarchal oppression of women. New Zealanders were shocked in the aftermath of this crime against humanity to learn how loose our gun laws were. Almost any moron could get an assault rifle legally and one did. Ten minutes after it happened Jacinda told us not any more. For many the massacre opened our eyes to the fact those who we thought were the threat against us were in truth the victims of xenophobia and white supremacy. All of the instances of mass shootings in the US by homegrown terrorists were perpetrated by white men, just as last Friday’s was. Few are aware that more Muslims than any other group are killed by terrorists. Just as first responders to the scene will never be able to “unsee” the horror, may we never be able to “unsee” how our privilege, biases, ignorance and fears have blinded us to how they provided fertile ground for such an act. 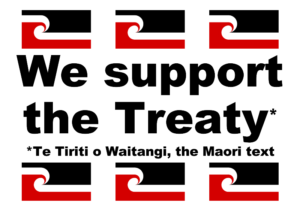 As Unitarians what is our role in this new New Zealand landscape? While we need to continue to speak out against social injustice, we also need to demonstrate the values we hold in how we do it. We need to become more conscious of our own contribution to intolerance. We are mostly a highly privileged group and we cannot help having absorbed mainstream values that do not readily accept “the other” amongst us. There are plenty out there who want to play the blame game. We don’t have to play. When even mainline politicians attempt to politicise and incite our fears of “the other” we don’t have to vote for them or give them a platform to divide us. Nor do we ignore them. Debates over all of the issues this terrorist act raises need to be had. We need answers for why this attack took place and how to prevent its reoccurrence. And we must address the fact that racism and religious intolerance is a daily reality in New Zealand. Another British commentator, Maajid Nawaz, who is a Muslim and a former parliamentary candidate for the Liberal Democrats, writes in even stronger terms that “Radical Islamists and radical leftists have seized on the Christchurch tragedy to push their own hateful agendas”. Nawaz argues that this type of politicisation risks falling into the “trap” that the terrorist set to create division, chaos, and to pit the political left against the political right. He also fears the blame-game will lead to a shutting down of debate. One of the reasons Jacinda has received accolades from around the globe is she has embodied Micah’s entreaty. This is not without irony as she does not fit into Tamaki’s vision of a New Zealander. While she grew up in a Mormon home she left the church as a young woman because of their stance on the LGBTQI community. She now identifies as an agnostic. However, she has shown us and the world how to do public theology with kindness, compassion and empathy.